We will discuss the developments in TSPO PET imaging and the contribution this technique has had to understanding neuroinflammation in vivo, as well as the limitations inherent to the currently available radioligands and the potential future direction. Positron emission tomography (PET) imaging targeting the translocator protein 18 kDa (TSPO) has led to major advances in understanding the pathological role played by microglia activation and neuroinflammation in a diverse range of neurodegenerative conditions. The first-generation radioligand 11[C](R)-PK11195 has been the most widely studied and has led to considerable advancements in defining the role of neuroinflammation in neuronal degeneration and dysfunction. However, limitations including low signal-to-noise ratio and high nonspecific binding have led to the development of new TSPO-specific radioligands in an attempt to improve the quality of TSPO imaging. Unfortunately, these new radioligands have not been without their own problems, and the expected improvement in image quality has not been achieved. Laura Best and Christine Ghadery contributed equally to this work. •• Ghadery C, Koshimori Y, Coakeley S, Harris M, Rusjan P, Kim J, et al. Microglial activation in Parkinson’s disease using [18F]-FEPPA. J Neuroinflammation. 2017 [cited 2018 Dec 4];14(1). 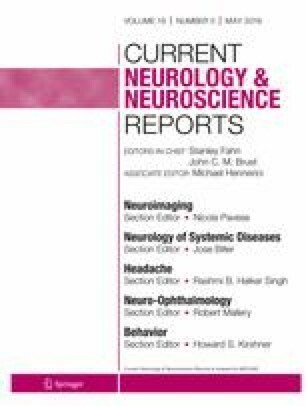 Available from: http://jneuroinflammation.biomedcentral.com/articles/10.1186/s12974-016-0778-1. This study investigated patients of HAB for the rs6791 polymorphism with MAB patients to assess regional differences in [ 18 F-FEPPA binding in PD patients and HCs. The results demonstrated a significant main effect of genotype on radioligand binding in all brain regions, but no effect of disease or disease and genotype interaction in any brain region.